FINAL SALE. 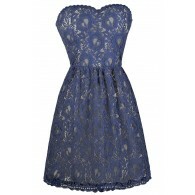 This adorable dress is made of a heavy textured fabric and has a crossover design at the bust we love. The Belle of The Soiree Textured Strapless Dress is made of a heavy structured fabric. It has a strapless sweetheart neckline, an empire waist, and an A-line cut. 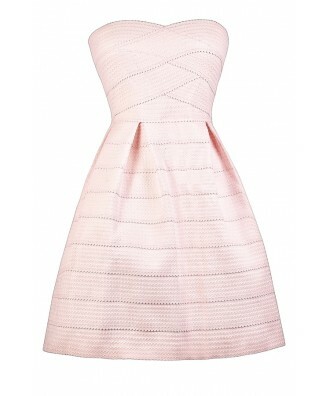 Bands of fabric crisscross at the bust, forming a unique and flattering design. An exposed back zipper completes this dress. The Belle of The Soiree Textured Strapless Dress would look nice paired with pumps, wedges, or strappy heels. 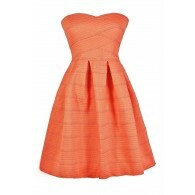 This is a cute party dress for any occasion. Details: Unlined. Exposed back zipper. 70% polyester, 30% spandex. Hand wash cold water. Do not bleach. Color separate. Hang or line dry. Small measurements: Length from top of bust to hemline: 28.5". Bust: 32". 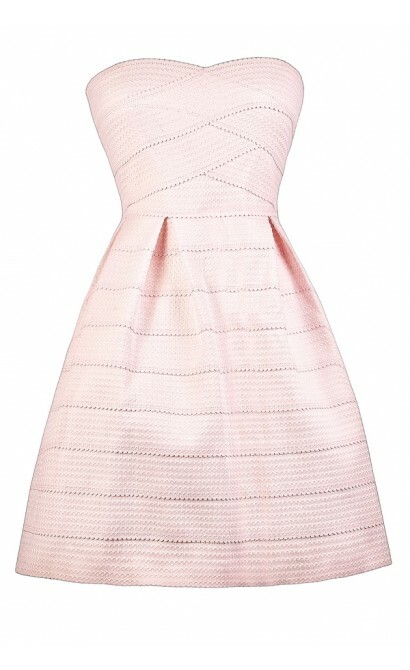 You have added Belle of The Soiree Textured Strapless Dress in Light Blush into Wishlist. You have added Belle of The Soiree Textured Strapless Dress in Light Blush for Stock Notification. 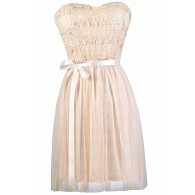 You have set Belle of The Soiree Textured Strapless Dress in Light Blush as a loved product. 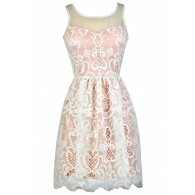 You have removed Belle of The Soiree Textured Strapless Dress in Light Blush as a loved product.